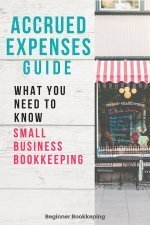 Bookkeeping ledgers are defined as books of financial accounts. 2. The Accounts Receivable Ledger. 3. The Accounts Payable Ledger. 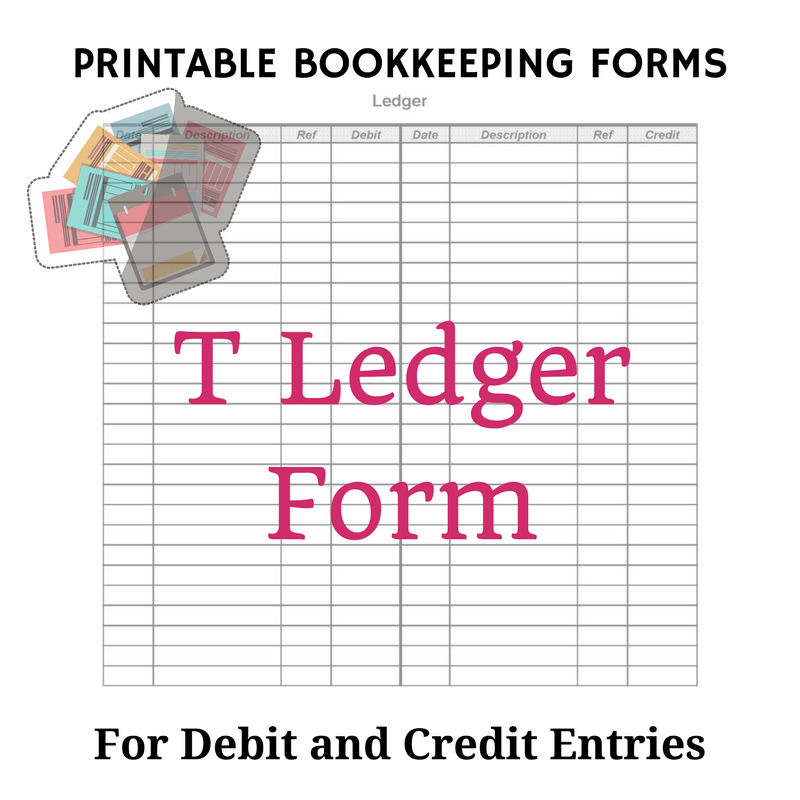 Click here to get the Bookkeeping ledger form. It opens in a new window from which you can save it to your device. This is the main bookkeeping ledger for a business. Each page of this ledger represents one account found in the Chart of Accounts. The details from every business transaction, such as the date and amount are posted from the General Journal into the appropriate General Ledger pages. The above sample ledger page is for the bank account as can be seen in the heading. The date columns indicate that this bookkeeping ledger is for the month of April. The debit column (left-hand side of the 'T') increases the bank account. 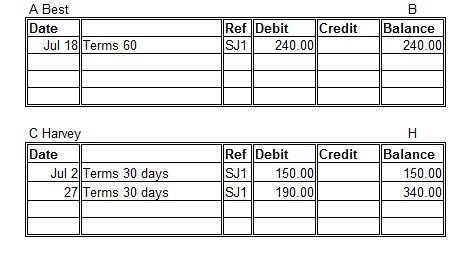 The credit column (right-hand side of the 'T') decreases the bank account. The opening balance is the amount brought forward from March. The reference is the page number in the journal from which each transaction is taken from. There is very little information in the description columns because these details can all be found in the journal. At the end of the month the debit and credit columns are totaled. The credits are taken away from the debits to calculate the closing balance of the bank account. The closing balance will be carried forward to the bank ledger for May and entered as the opening balance. 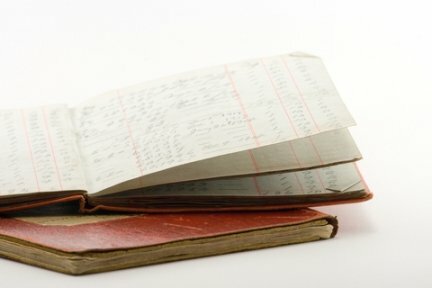 What is the Point of Bookkeeping Ledgers? 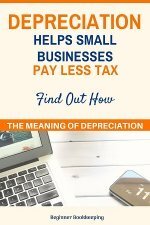 You may well ask why the information is first entered into the bookkeeping journals and then again in the bookkeeping ledgers. Isn’t this just doubling up on the amount of work? ...whilst the journal is a diary of business transactions carried out in date order, and whilst the journal shows which General Ledger account to debit and which one to credit, it does not provide the means for adding up the totals of each account. In other words, it does not keep a running tally for each account. Of course, you might then say why not just record the information straight to the ledger accounts and miss out the journal altogether? The reason for this is that each ledger account only shows one side of the business transaction, be it a debit or a credit. You cannot see from one account page which other account is involved in the transaction (unless you follow the reference back to the journal). For example, for every entry in the bank sample ledger above there will be an opposite entry on another account page (following the rule of double entry bookkeeping). So, let's say that the $25 debit on April 1st was a payment for a telephone bill. You will find the opposite entry on the telephone account ledger page (debit telephone account; credit bank account). 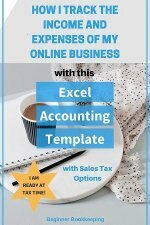 The totals from the General Ledger are used to produce reports such as the trial balance, profit and loss (also called an income statement) and balance sheet. Keep in mind, there are always two accounts involved in double entry bookkeeping for each transaction! This is a subsidiary ledger used to keep track of how much money customers owe a business. Only customers who buy goods or services on credit are included here. A customer who owes money is called a debtor. (The details from cash paying customers go straight from the General Journal into the Bank and Sales accounts in the General Ledger). Each page of the Accounts Receivable ledger is dedicated to a customer and is headed with the customer’s name. The information in these pages is taken from the Sales Journal. Below is a sample of just two pages from an Accounts Receivable Ledger. You can clearly see the name of the customer on the top left, the page name on the right. The Ref is the page number from the Sales Journal which is where this information is posted from. The accounts payable ledger is another subsidiary ledger used to keep track of how much the business owes to its suppliers/vendors, also known as creditors. This ledger contains one page per supplier and the information is taken from the Purchases Journal. It is only used for purchases made on credit. This ledger contains one page per supplier and the information is taken from the Purchases Journal. It is only used for purchases made on credit. They are ledgers supplementary to the General Ledger - which simply means they are extra ledgers which are not used in the preparation of the reports mentioned above under ‘General Ledger’. Instead, the month end overall total from each subsidiary ledger is entered into their corresponding parent or control account found in the General Ledger. The control accounts just happen to be called Accounts Receivable and Accounts Payable! A standard ledger account is displayed in a ‘T’ format as in the General Ledger sample near the top of this page. Another format is the three-column ledger, as illustrated in the Accounts Receivable sample above, which provides a running balance in the third column. This is handy for seeing the ledger balance at any time during the month, instead of waiting until month end to calculate the balance as in the ‘T’ format. A third format is the four-column ledger which breaks the running balance column into two columns, one headed debit and one credit. Bookkeeping Ledgers are the end of the road for all business transactions. In fact, the General Ledger is called the Book of Final Entry.